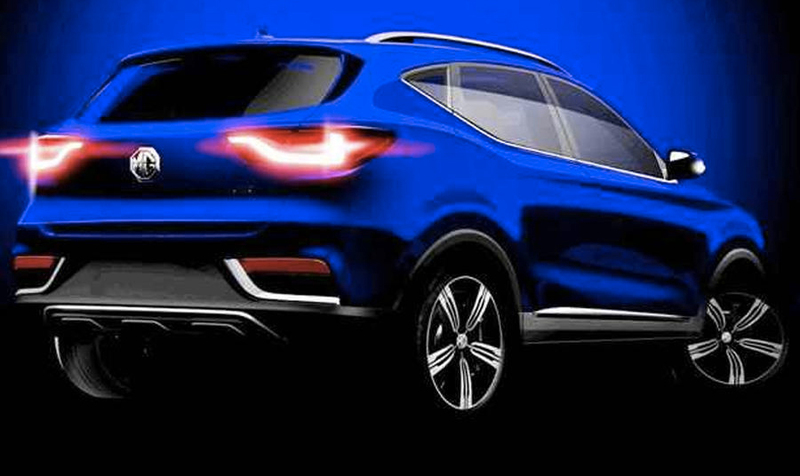 After handing down a stylised sketch earlier this month, Chinese-owned British brand MG has now released two revealing previews of its upcoming compact SUV, reportedly set to wear the badge ‘ZS‘. Destined for the Guangzhou motor show on November 18, the new compact offering is being reported overseas as a rival to the Nissan Juke – which, although an ageing offering, remains the compact SUV to beat in the European market. Nonetheless, it is clear from these images that the so-called MG ZS will wear a more conventional design, with similarities to the themes that adorn current Nissan and Mazda SUV models. The new SUV’s design is the work of Chinese car maker SAIC Motor, whose purchase of Nanjing Automobile in 2007 gave it control of the MG brand and assets that Nanjing bought two years earlier for $126 million. The design is understood to have also benefitted from input out of the UK, which, although no longer MG’s biggest market by any stretch, remains a historically significant part of the brand’s identity. According to the UK’s Autocar, representatives for SAIC have confirmed this new model will mark an important step in giving the brand a more European flavour with upmarket ambitions. That will mean a far greater attention to detail and build quality than ever before, and, as the Mazda-like sketch shows, a more powerful design will also be key in engendering a premium perspective in potential buyers. The new SUV will reportedly draw power from the same 1.5-litre petrol engine that delivers 122kW and 250Nm of torque in the larger GS SUV – which has yet to be locked in as part of the MG brand’s Australian revival. The new model is expected to go on sale in Europe from 2019, which could mean that this month’s unveiling will be a design concept rather than a ready-to-go production model. Incidentally, fellow Asian-owned British brand Lotus plans to launch an SUV of its own, sometime around 2019.